He is celebrating the most precious thing we are given – our own existence. “What could he possibly have to look forward to at his age?” you might ask. To your question he would answer (as he did to us that night) that he looks forward to reading and writing. He spends time with his 104-year-old sister. He attends Bible studies. He entertains family and friends. He plays board games and religiously watches sports, including his beloved Chicago Cubs. And he is preparing a sermon to preach in a month on his 102nd birthday at his retirement community’s church. Two years ago when he preached at his 100th he had the place in tears. It may not seem like much to us but he thrives on it. He cherishes each day for whatever it brings his way. Life may have you down right now. This time of year can be depressing for many. If my grandfather could talk with you he’d understand. He’s been through his own share of personal and family trials. But he’s never lost perspective on what is really important – leaving a positive mark on this world. He would say that your life matters even if you think it doesn’t. The lives you touch and the things you do for good have a ripple effect that can theoretically expand forever. That’s a legacy-building opportunity you can’t afford to waste. Choose to celebrate the precious gift of your life. You are never too old (or young) to celebrate it. Live each day with purpose. Look for ways to impact others and appreciate the opportunities you’ve been given. I have no doubt my grandfather will. Questions: Have you ever felt too old to do something? Do you agree that you are never too old to celebrate life? What drives you now? What are you looking forward to doing in the future? This old man has greater values he acquired throughout his life. He’s definitely living the moment. Thanks for sharing this Brian. “…living the moment.” That’s true Kelly. We usually associate living the moment with a younger generation. But I think it applies even more so to those who are older because, generally speaking, they have less moments to live going forward. I would not say that it doesn’t seem like much at all! Sounds like he has a very rich and fulfilling life. 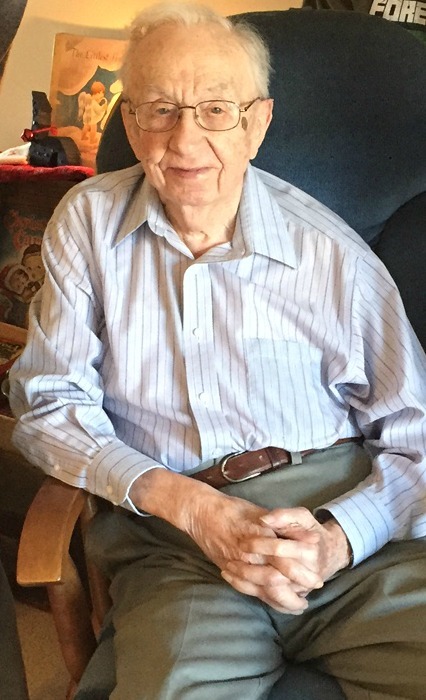 He looks to be in incredible health, I would never have guessed from his photo that he will be turning 102. How incredible. You are very lucky to still have your grandfather living. He must have some great stories. He is in great health. Slower getting around but still doing exercises to stay strong. What a great man he is! He’s someone we in this generation should look up to. This man is really great! He has this perspective in life that everyone must have. Nice Granpa! Awesome! We all need a little reminder to be thankful now and then. Great post Brian! We can learn so much from those who have walked the miles. Thanks for sharing! It’s awesome that he’s still doing so well. Go grandpa!